Service Agreement Bond : Selected candidates will be required to execute a Service Agreement Bond of Rs. 50, 000/- for Gen/OBC(NCL) candidates & Rs. 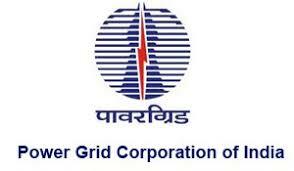 25000/- for SC candidates for serving POWERGRID for a minimum period of 3 years after successful completion of training. Selection Process : 1. The Selection Process shall involve Objective Type Selection Test of two hours duration, to be attempted on Computer (i.e. Computer Based Test),consisting of two parts – a) Part-I consists of Professional Knowledge Test with 120 questions having specific questions of Electrical discipline. b) Part-II consists of Supervisory Aptitude Test with 50 questions on vocabulary, verbal comprehension, quantitative aptitude, reasoning ability, ability to determine data sufficiency, interpretation of graphs/charts/tables, numerical ability etc. Application Fee & Mode of Payment : Rs. 300/- (Non- refundable) (SC/ST/PwD/ Ex-servicemen/Departmental candidates are exempted from payment of application fee). Last date of submission of application fee through Online Mode is 26.09.2017.